What do you love most about the natural textiles? The texture, the unevenness of the thread? The subtle differences of saturation? Or is it the vibes that melt your heart? Waking up the sentiments of the ancient craft of weaving? I ask myself this question a lot, since I find the natural fibers irresistible. I love the varied subtlety of dyes, the textures derived from plant fibers, the connection to disappearing world. I admire the imperfections of textiles same as I love the weird looking Heritage tomatoes or our weird cat Roger, whose moods nobody understands. The diversity and authenticity of the natural clothes, without toxic wrinkle protection sprays or formaldehyde finishes, feel good on a skin and the skin knows it. It feels good to our soul; and it knows it, too. My clothes remind me of my grandma, patiently sewing my first real coat, with meticulous attention to every little seam and detail. They mean skill and care and love. Good news - You have an impeccable taste. You are also, like most of the people of good taste, in an absolute minority. Did you know that for 2025, the prediction is for 98% of all fiber to be synthetics? Made of crude oil. 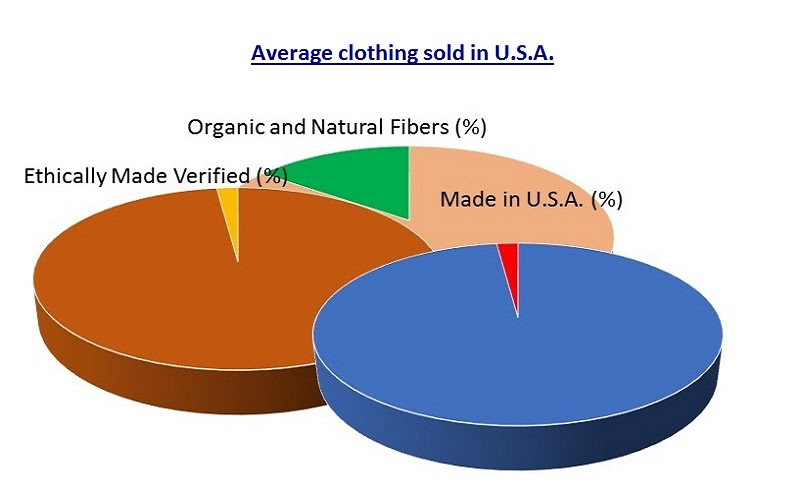 The difficulty of obtaining and processing natural textiles are huge and 98% of that is already made outside the United States. Our store is opposite to average statistics, thanks in big part to your loyalty. Check out the graphs below - the left and right side (average stats and ours) look actually somewhat similar but of opposite values. 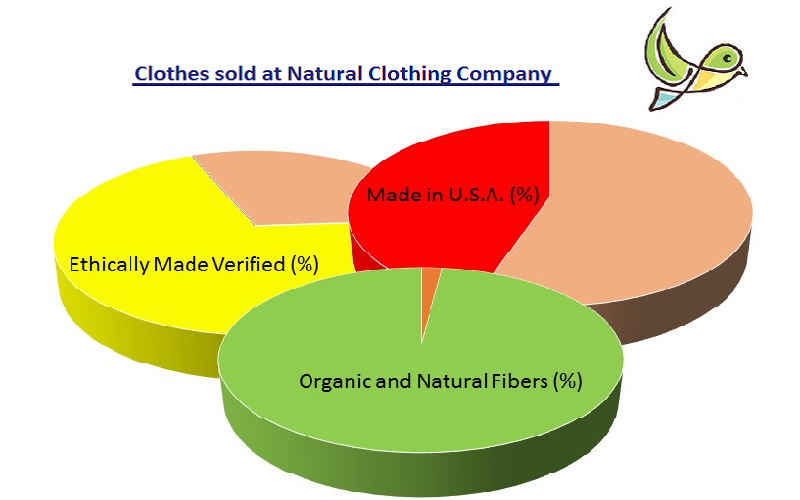 We carry only organic or natural fibers, like organic cotton, hemp, linen etc. 70% of our stock is certified ethical products (Fair Trade or similar conditions), remaining ones are not certified but still honestly made. 45% of our products are U.S.A. made and we are working on increasing that even more. We are not a manufacturer, we are just a store. Our hands are tied in many respects but we can still choose what we buy, just like you. This world is skewed toward cheap, disposable products but it does not have to be like that. You are a living proof that many truly care. Imagine that tomorrow, people buy only ethical products - that demand would create lots of supply and better prices. You are on a forefront of that and we thank you from the bottom of our hearts.